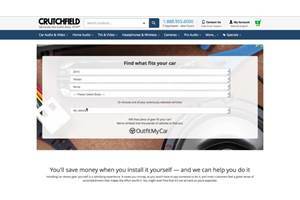 The car audio toolbox: With the right car audio installation tools and connectors, plus your own skill and determination (Yes, you CAN do this yourself! 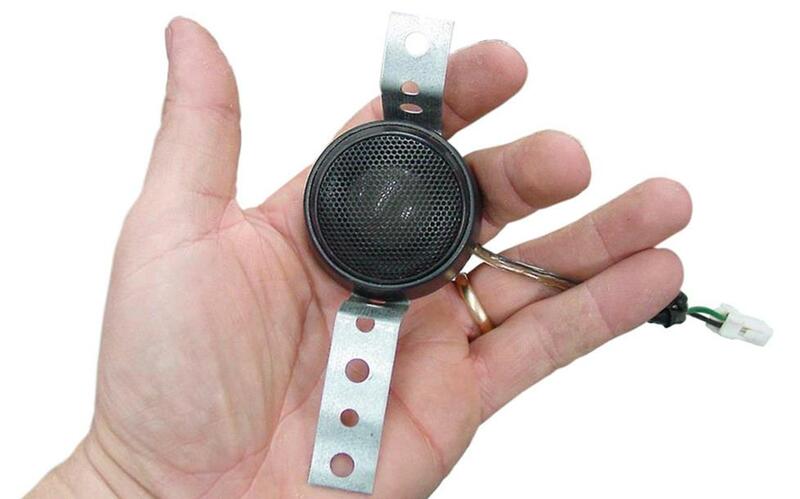 ), you'll be ready to handle most car stereo installations. You probably have plenty of tools already. It's amazing how much can be done around the average home or car with a hammer, a couple of screwdrivers, and an adjustable wrench. It's also amazing how many other tools the average home handyperson buys over a lifetime of "saving money by doing it yourself." If you're going to install your own car stereo (or speakers, or amplifier...you get the idea), there are a few more things you'll want to add to your toolbox. They're cool tools, of course, but they're also the kind of cool tools that won't necessarily sit in your car tool box until the next time you upgrade your audio gear. Why use a screwdriver or a paint scraper when you can use a dedicated pry tool that won't damage the thing you're trying to fix? 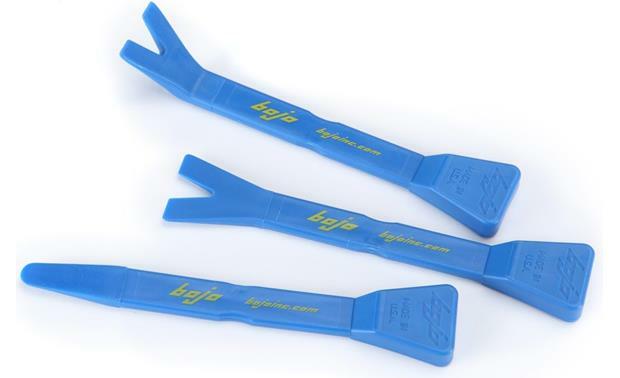 These Bojo tools are ideal for removing doors, panels, and trim, but they're also useful for other delicate home and shop tasks. They're made from strong glass-infused nylon, with ergonomic handles, specialized tips, and a surface that won't harm finishes. Soldering is one of those tasks that used to be taught in shop class, back when schools offered such things. Today, there aren't many people who know how to do it and fewer still who actually enjoy it. But, you need to connect your new stereo gear to your car's wiring somehow, and electrical tape is not a smart solution. 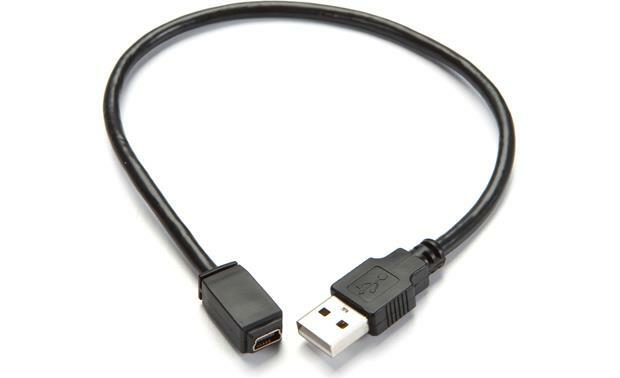 Posi-Products connectors, on the other hand, are. 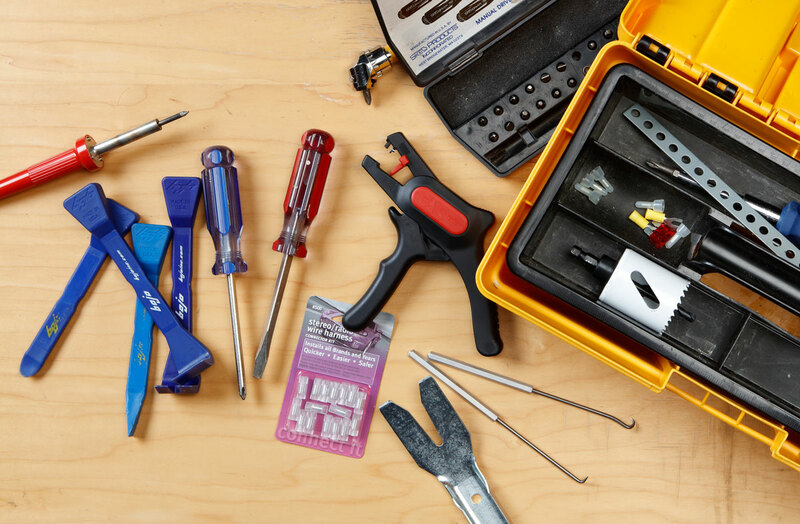 These installation essentials make clean electrical connections that last. 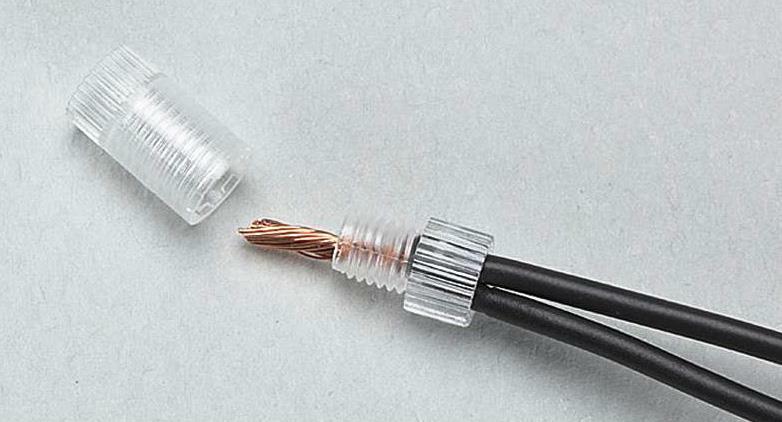 Just strip the stranded wires, insert them in the caps, and then hand-tighten the two caps together — the wire ends get locked between opposing cone shapes to create a water-, dirt-, vibration-, and heat-proof housing. Replacing factory tweeters isn't all that hard, but it's rarely as easy as replacing door speakers. That's because there's almost never a stock mounting bracket to hold the new tweeter. And that’s why we carry these universal back straps. 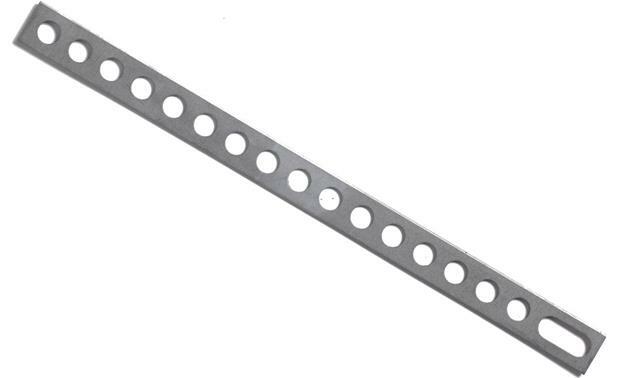 They’re pliable, multi-holed brackets that can be shaped and cut to securely hold a new tweeter in a factory location. 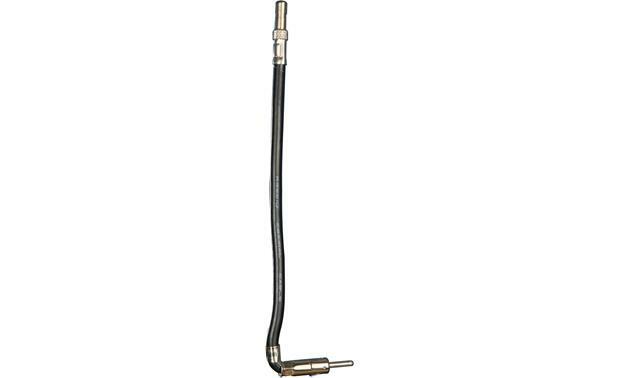 You can also use back straps if you need to add extra support to the rear of an aftermarket receiver. These Pro.Fit hook tools let you reach behind your car's dash bezels and panels, which makes removing them a lot easier. 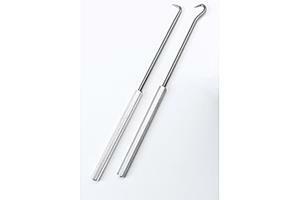 One hook has a 90-degree bend with a straight tip, and the other has a 180-degree round tip. 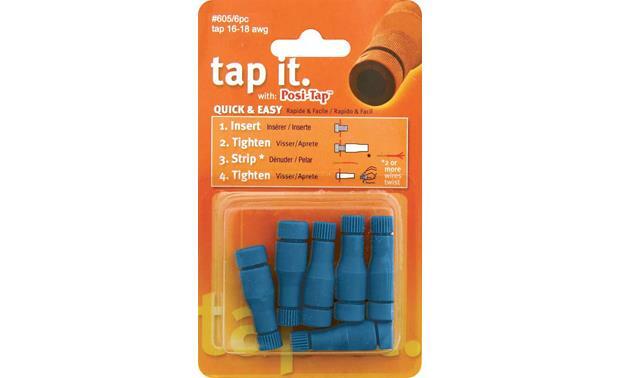 You can also use them for hobbies or any home projects involving detail work. 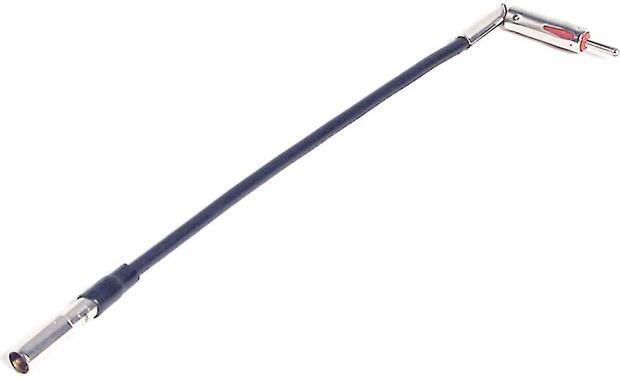 Whether they're working on a car stereo or a home theater, our installers rely on this handy tool. 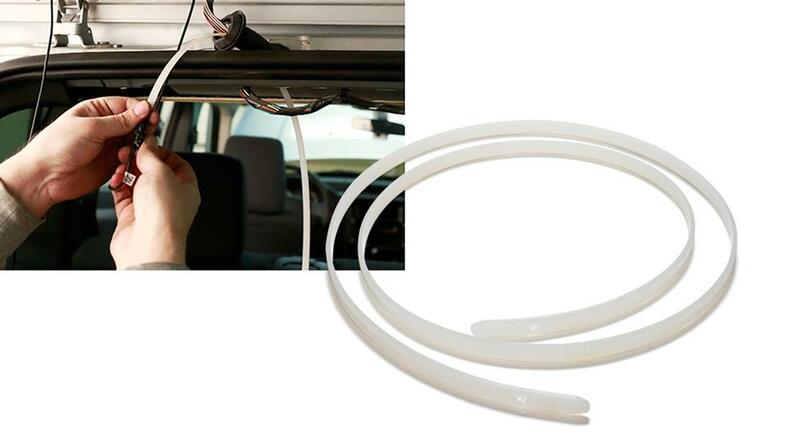 Just tape the wire to one end, then fish the wire worm under the dash or carpeting, or push it through holes or behind panels to pull the wire through. 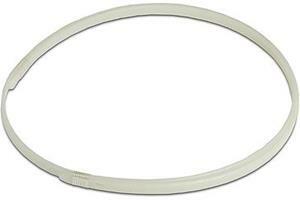 Made from rigid nylon, the 48" Wire Worm stays straight, yet it's still flexible enough to handle corners. And it won't scratch your vehicle's interior or existing wiring. 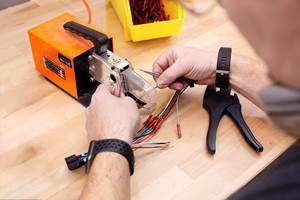 This powerful, versatile tool strips 12- to 22-gauge wire with one pull of the trigger. It features a pistol-type grip and a narrow nose for working in tight spaces. 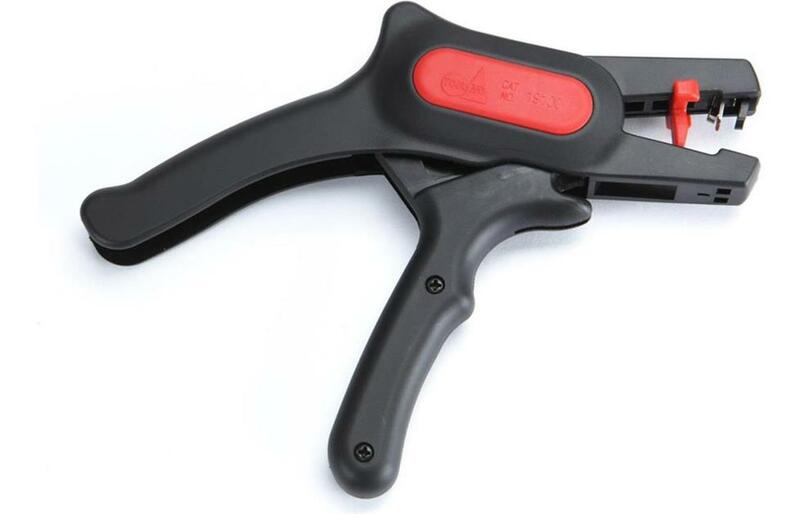 Whether you're working in your house or in your car, this is the wire stripper to have. 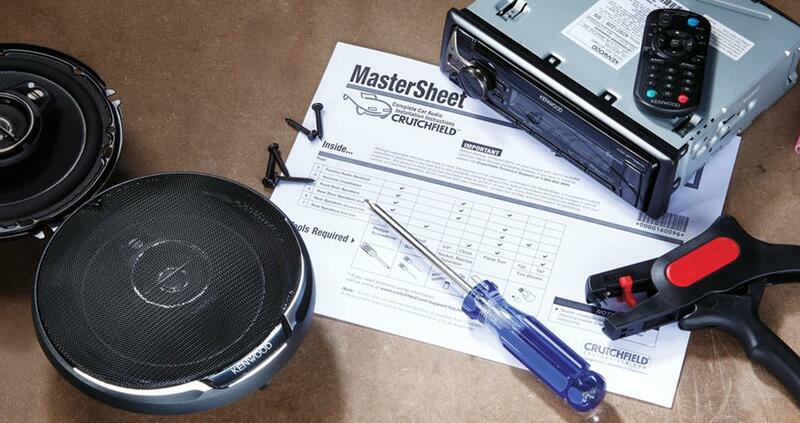 Our detailed, illustrated Crutchfield MasterSheet (included free with the purchase of a car stereo or speakers) always starts off with a list of the essential tools needed to install stereo gear in your car. It illustrates how to remove your factory gear and install the new stuff. 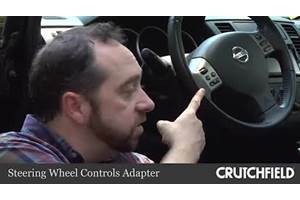 Also included with your Crutchfield purchase is access to our award-winning tech support. 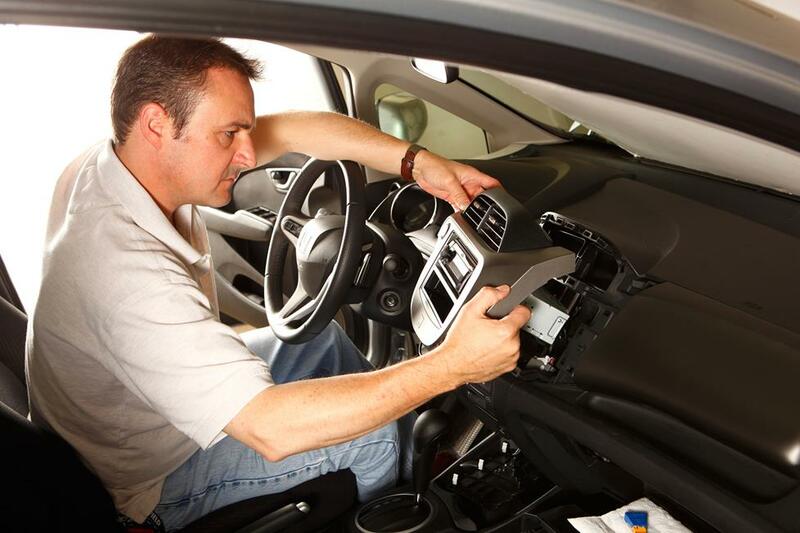 We're just a phone call away and our expert staff can help you through nearly any car audio situation, from installation to setting the time on the stereo's clock! Most of these things are in your home or garage already, but it's always smart to have them ready to go before you start your car audio installation. Torx driver: Torx screws, also known as "star screws" because of their star-shaped, six-point head pattern, are frequently used to mount door and dash panels on late-model cars. 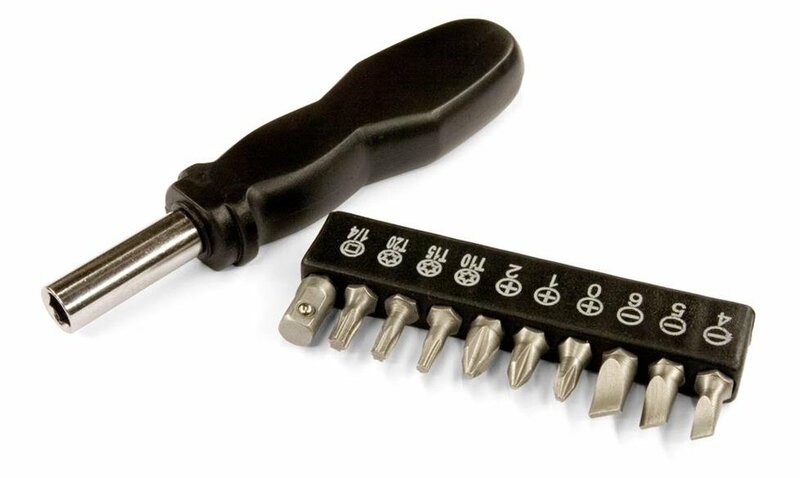 If you don't have a Torx driver and bits in your tool kit already, you can find a set at your local hardware store. Shop rag: A clean shop rag (old towel, t-shirt, bandana, etc.) is obviously useful for wiping away smears and smudges that might damage your car's dash or door panels. And if you’re replacing the speakers on a car with roll-up windows, they're very handy for removing the hand crank. Blanket or sheet: Old comforters and sheets are great for moving or storing furniture, right? They're also great for protecting door panels and/or rear seat cushions from dust, dirt, and damage when you're replacing door or deck speakers. Small container: An old stadium cup, a plastic bowl, the coffee mug from that boring conference you attended in 2004, whatever. If you're removing lots of screws from a door or dashboard, it's important to keep them organized, because you'll probably need them again when you're putting the car back together. 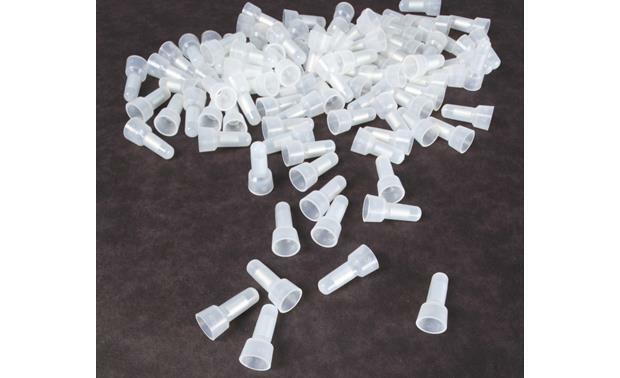 Having a handy container (or several, if you're dealing with different types of screws) makes it easier. Flashlight: Replacing a car stereo or a set of speakers frequently involves removing a screw that's four inches deep in a dark cavity. Even if you're doing your installation outdoors, seeing what you're doing can be a challenge – and so can finding the screw you dropped into the cavity when you bumped into an unseen brace. So keep a flashlight handy. If you have one that fits onto a headband or mounts onto the bill of a ballcap, that's even better. Want to learn more? 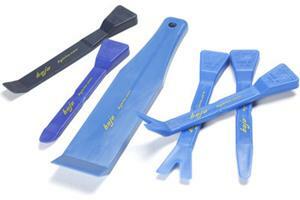 Take a look at our entire collection of installation tools. And if you need any help choosing new car stereo gear, contact our expert advisors. They're always happy to help you find the gear that's right for you. I also found that having a LED headlamp is useful in seeing what you're working on. 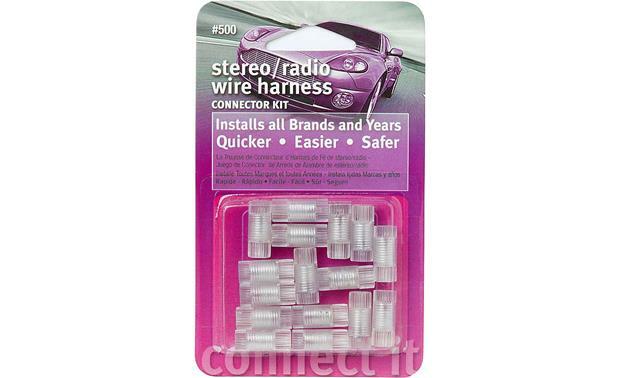 I also use "heat-shrink" wire wrap along with the "wire worm", depending on what you're connecting, for a cleaner, neater look Most people will already have the basic tools, but panel tools are a must and make the job so much quicker and easier. I find flashlights that have a magnet on the rear let's you place it where you need it. Freeing up a hand. These can be somewhat expensive so I have on acasion hot glued a magnet to a flashlight where I needed it.